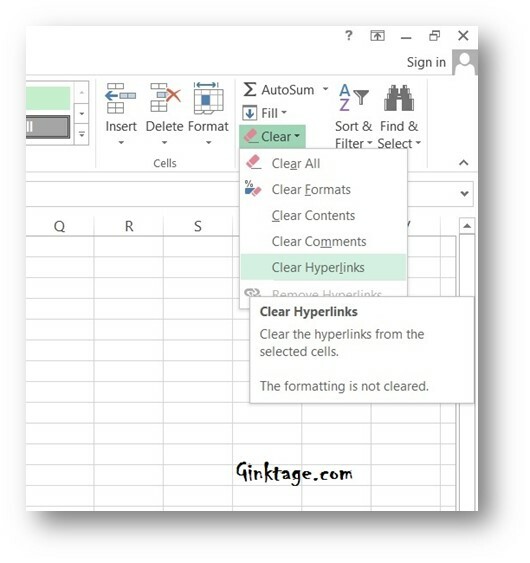 How to clear Hyperlinks from Spreadsheet in Microsoft Excel 2013? 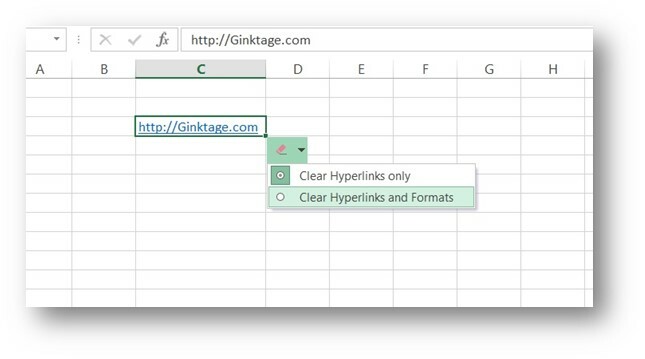 The Microsoft Excel includes a cool feature that lets the users to quickly remove all the hyperlinks from the excel workbook. One of the typical scenario when you want to use this kind of feature is when you try to copy the data from the external source and which includes and hyperlink to the website. When the number of hyperlinks increases , it becomes difficult to manually remove the link one by one . Using the clear hyperlink will save you lot of time in this case. To Clear the hyperlink, select the worksheet and then navigate to Home tab and then in the Editing Group -> Clear DropDownList, Click Clear Hyperlinks. You can remove the hyperlinks by clearing the formatting by clicking the “Clear Button Options” and the “Clear Hyperlinks and Formats”.